Discount department store chain Target this week kicked off a "Bonus Black Friday" (in July?) promotion that offers a $10 Target Gift Card with each Apple TV purchase, a $40 Target Gift Card with each WiFi iPad mini purchase, and a $50 Target Gift Card with any iPad 4 with Retina display purchase. 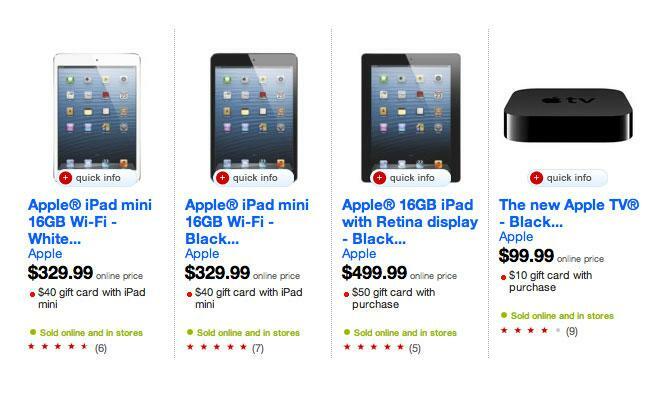 Assuming you're a Target customer and actually use your Gift Card reward, these deals equate to the lowest prices for these iPad models we could find. The promotion runs through Saturday, July 13th. Gift Cards are automatically added to your shopping cart with the qualifying product. We apologize but this deal is SOLD OUT as of 6:12 PM ET. 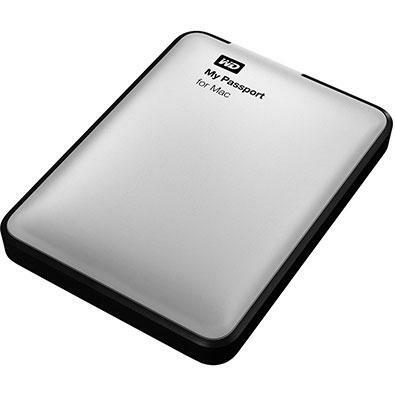 Separately, MacMall is offering AppleInsider readers Western Digital's 2TB USB 3.0 My Passport Portable External Hard Drive for just $99 when using this specific link and then manually applying Promo Code MWB41928. The deal, which runs until 11:59 PM PST on Friday, is the lowest price we can find by $46, comes with Free Shipping and is limited to 2 per customer while supplies last. For those who missed out on the earlier deal, Newegg via eBay is blowing through a physically larger desktop-style 2TB Western Digital external drive for just $69 with Free Shipping, which is $20 lower than the next best price we could find. eBay via 1SaleADay also has new 2GB iPod shuffles for just $37.99 with free shipping —that's 24% off and the lowest price we could find. Also, it appears that Apple is nearing a supply/demand balance on its new MacBook Airs, with all but 1 of the 19 custom configurations listed in our MacPriceGuide ready to ship immediately as of press time. AppleInsider readers who choose to purchase from MacMall can use the links in our Price Guides or in the Price Guide inserts in this article to activate the Promo Code field on MacMall's product pages for all MacBook Airs, MacBook Pros and iMacs that they stock. Entering Promo Code APPLEINSIDER01 and then clicking "Apply" will knock an additional 3% off MacMall's already discounted pricing on these Macs. The 3% discount is available only when ordering online and online orders are processed in the order they are received. It's also worth noting that unlike stores like Apple, Wal-Mart, and Target, MacMall only collects sales tax in CA, IL, NY, TN, MN, GA, NC, WI. Meanwhile, readers who looking to bundle their new MacBook Air with 3-years of AppleCare Extended Warranty Protection can also use the links in our New Macs + AppleCare Price Guide for exclusive pricing on MacBook Air+AppleCare bundles from B&H, which only charges sales tax to NY residents.